I recently donated my Goodwill-bought Puma sneakers back to Goodwill; over the course of wearing them regularly for two years, the vinyl-ish lining on the edges of the opening has peeled off and it’s no longer possible to corral the foot odor (a problem with all the Pumas I’ve thrifted, but not with any other shoes I own). So a few weeks ago, I decided it was time to find new-to-me sneakers. -Print = visual interest. 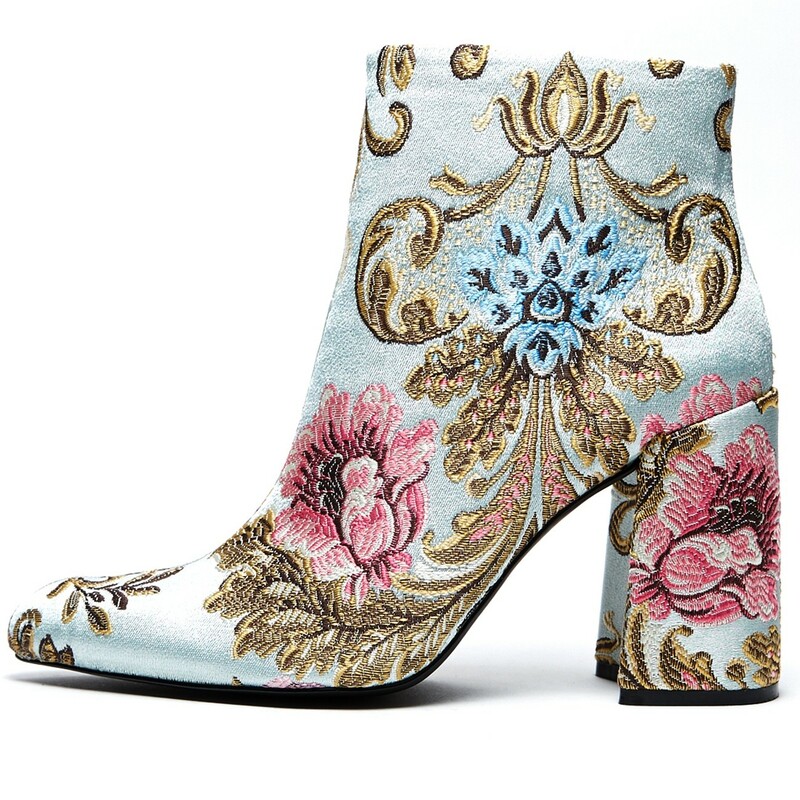 The print on these boots adds visual interest to pretty much every outfit. If I’m worried about looking overly color-blocked with big areas of solid color, or if an outfit just looks meh, I can add these for an instant visual relief and/or boost. -Comfort. I can walk a mile or two in these comfortably because the heel is low and the insole is comfortable. 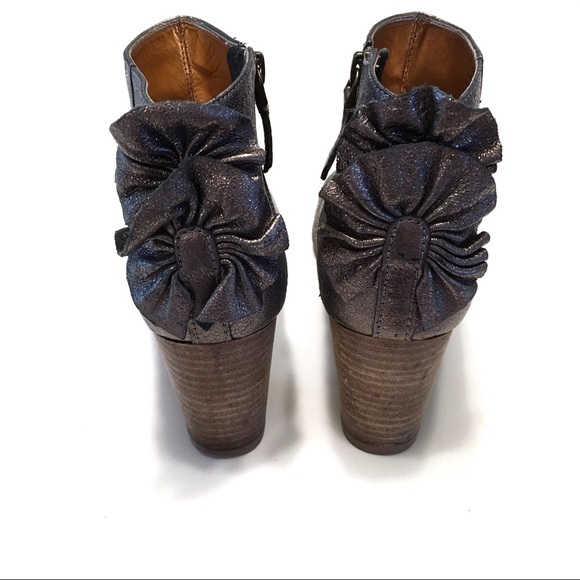 I love the neutral metallic brocade on this – the lush texture of brocade makes my heart sing! – and the floral pattern (florals are another favorite of mine). The heel is low, which means they would probably be comfortable, although reviews on the Aldo site say these are not very high quality. Pro tip: when shopping secondhand online (or even in a thrift store), if you’re not sure about quality/how something will hold up long term, Google the piece and see what reviews say. I have heart eyes for these. These definitely add visual interest; in fact, they steal the show! They’re not exactly neutral, but they echo the Light Summer color palette fabulously and would harmonize with the large amounts of pink and blue in my wardrobe. The only negative? That 3-inch heel. 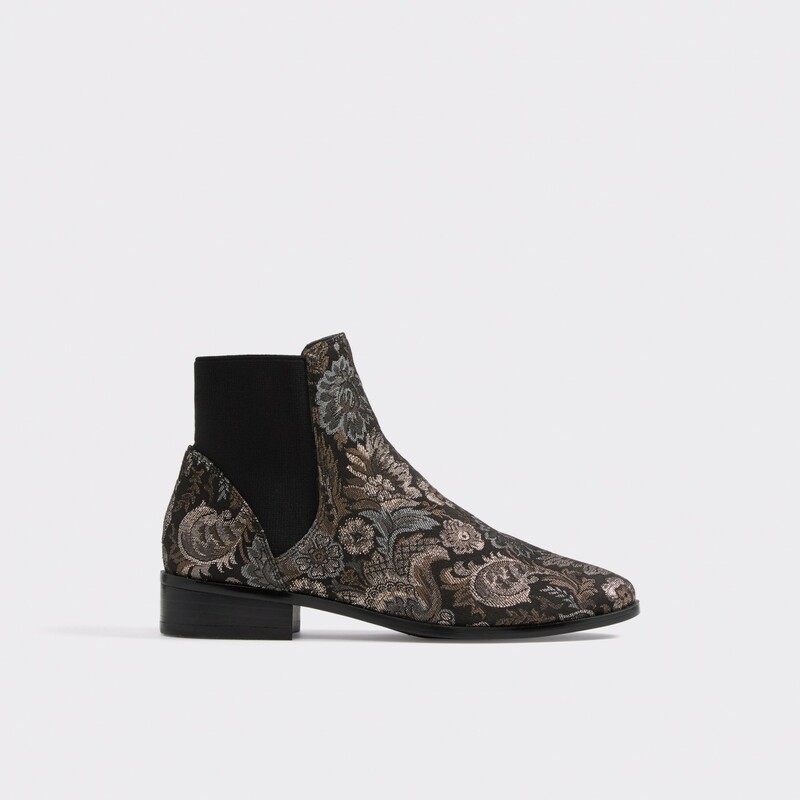 Although an online review calls them comfortable enough to wear all day, and the large, blocky nature of the heel would provide more stability, as a non-heel wearer I’m not convinced I’d find them practical. What makes a shoe super versatile to you? What shoes would you snag if practicality weren’t an issue? The one thing left to thrift in my fall/winter maternity capsule was a maternity coat. 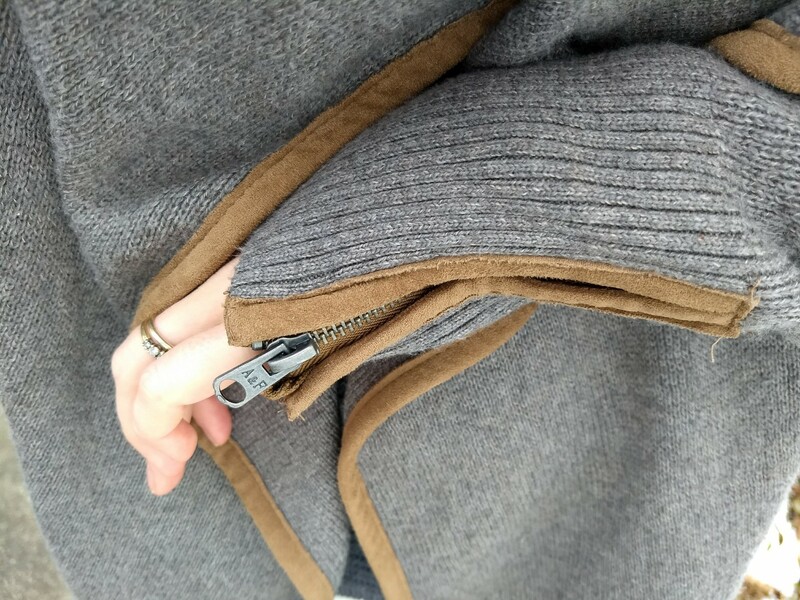 I’m due in December and there is no way I was going to make it through the first part of a New England winter without a proper winter coat that actually zips around my middle. 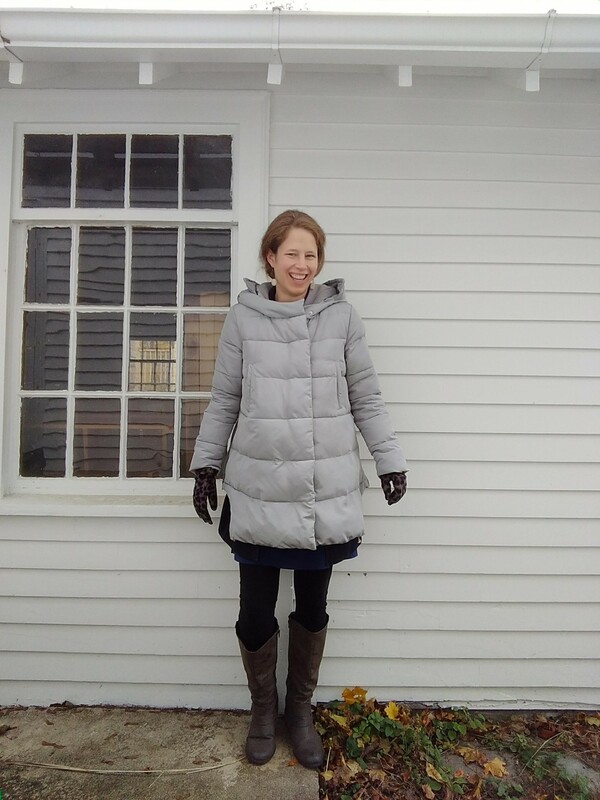 But after several thrift and maternity consignment trips, I had yet to find a coat that fit the bill. Off to Poshmark, where you can access thousands more listings than any one brick-and-mortar shop can provide – and where you can use specific filters to search for exactly what you want. (eBay is good for this, too. I find ThredUp has too little selection to be worth more than the occasional search.) Plus you can often bargain on the price! 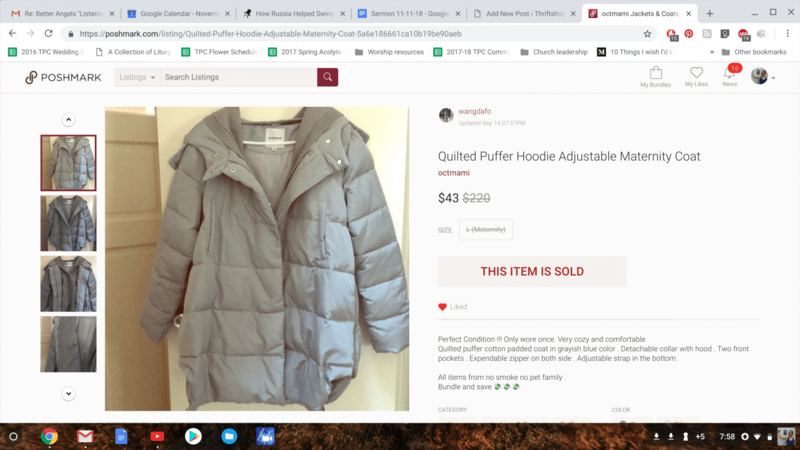 Speaking of price, as I looked at the original retail price on Poshmark vs. the asking price, I quickly discovered that quality maternity coats are expensive. This makes sense insofar as quality non-maternity coats are expensive – if you’re looking for down and good construction, you’re going to pay. Add extra fabric and special features to cater to a burgeoning belly and you’re easily in the $150-$250 range for retail. God bless you, seller wangdafo, for posting a like-new maternity coat at a very reasonable price. Octmami is a Chinese brand (“Oct” is short for October, the 10th month, since pregnancy technically lasts 10 months…oy, so long!) and from what I could find online, it’s generally pretty decent quality. I also discovered online that you need to size up in Chinese sizes to approximate US sizes, which meant that the XL sizing on this coat was likely going to fit me fine, especially taking into account some extra wiggle room for the last few weeks of growth. Another great feature of Poshmark is that you can make an offer and the seller can accept or reject it (your offer is more likely to work if the post has been up for awhile). So I bargained to get to $50 including shipping, the seller accepted, and I crossed my fingers that it would fit and be worth what still felt like a very rich price for my thrift-store blood. When it arrived…lo and behold, a win! The fit is good (if roomy); the color is spot-on for Light Summer; and the A-line silhouette, though not in my regular wheelhouse, is very pleasing. 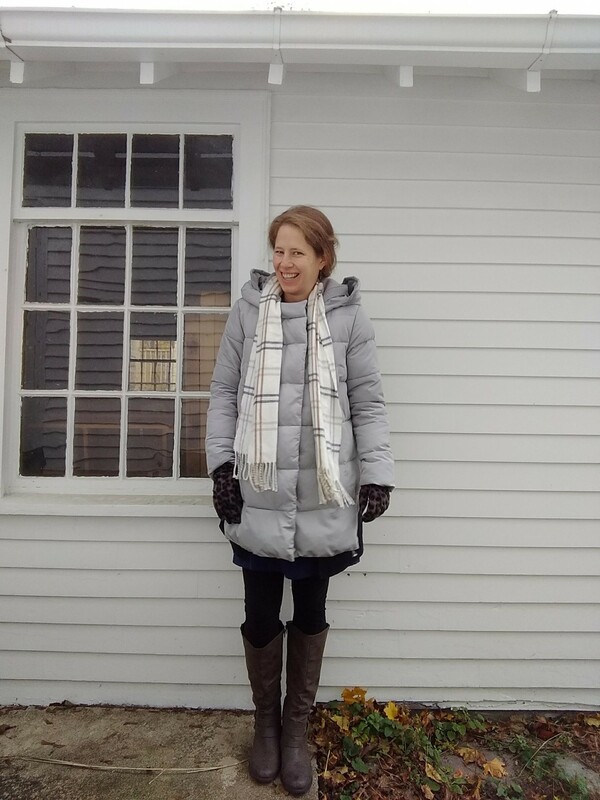 I first wore it for a weekend with family in Maine, where cousins were commenting on how chic it looked – rare for a puffer-style coat, period, but even moreso for fluffy maternity wear. The coat also has a sweater-like partial lining secured by buttons, which I removed since it flopped all over the place and was an entirely different color, but I may find it useful for snuggling the babe post-partum. If you live in the cold, what are your tips for finding puffer coats that don’t swallow you whole? 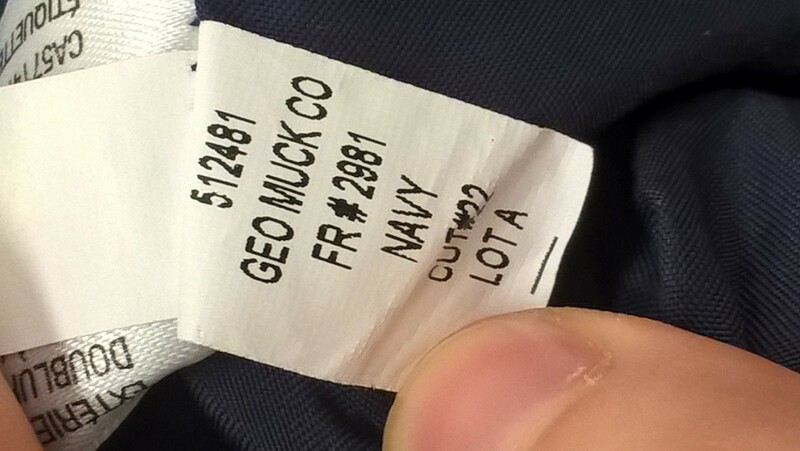 Looking for Retail Finds Secondhand – Should I? If you don’t count the odd trip to Kohl’s to help the Spouse buy pants, I haven’t been in a retail clothing store in probably…15 years. * I’ve gotten so used to thrift stores as my primary source of clothing that it doesn’t even occur to me to look in retail stores, let alone lust after the clothing therein. Don’t get me wrong – when I first went off of retail cold turkey, it was hard to walk into a Target for some other shopping need and just pass by the clothing section. They had cuuuute stuff, and even on a tight budget I felt like some of it was affordable. (Isn’t that how people end up with overflowing shopping carts at Target? Their stuff is all affordable – even $150 worth of it!) I had to learn to peel my eyes away from the racks and content myself with the occasional underwear or sock purchase (both items that are hard to find – at least hygienically – at thrift stores). I still shop at Target (Tar-zhay, yes?) for laundry detergent, toilet paper, art supplies for my kid, etc. And while I now find some of the clothing on their racks to be in the fugly zone (cold shoulder tops – why? cheap lace in blah muted palettes that look like the 70s threw up – why? ), they definitely have upped the chic factor with some of their newer brands. Evidence: see the Queer Eye episode where Tan France takes a dad on a budget to Target to spruce up his wardrobe. I generally still walk on past the clothing sections – mostly out of habit, but also out of the knowledge that it’s just easier not to have to talk myself out of something attractive. 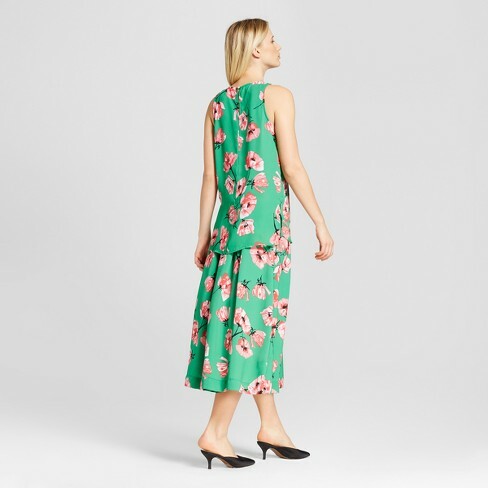 But a few months ago a top just happened to catch my eye – it was the most gorgeous emerald green color, with gloriously large pink poppies scattered jauntily throughout. And lo and behold, it was a perfect match for my Light Summer color palette. (Yes, I tend to carry my color swatches around with me – you never know when the opportunity to thrift will present itself!) Instead of trying to justify a retail purchase (or two), I tried on both a top and a dress to see which size fit me, and mentally committed to tracking them down secondhand, once someone else had bought and then decided to resell them. It’s very… ladylike? I feel like I could be off to a garden party, or tea. The tie at the waist makes it look pulled together, while the collarless neck balances out the ruffled shoulders, keeping the froufy- to-chic ratio in check. And the whole thing, made out of nice-ish quality polyester, feels light and floaty in this hot weather. I am a fan. Is it really that different from buying something retail? 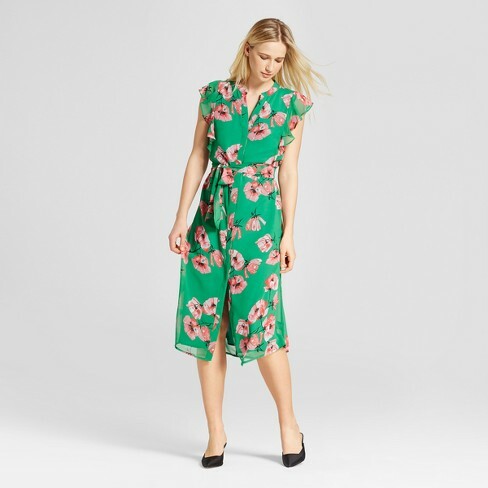 I was sort of shocked by how quickly items from this collection turned up in secondhand online sites – maybe just a few weeks after I saw them in store? – with “brand new” or “worn once” on the listings. Whatever the case, buying something that fresh from the retail racks, for almost retail price (once you pay shipping), and calling it “thrifting” feels a little disingenuous. I suppose it would help if I knew the piece I was buying had had a nice long life with someone else first – although in a sense I’m still saving it from a landfill or from sitting unworn in the back of someone’s closet for years. After all, plenty of people who decide to make the transition to a slimmed-down wardrobe give away brand-new-with-tags items and I definitely want reselling to be a more attractive option than dumping them. What do you all think? Do you ever buy things secondhand that are still hot off the retail racks? Do you stay away from it for a particular reason? 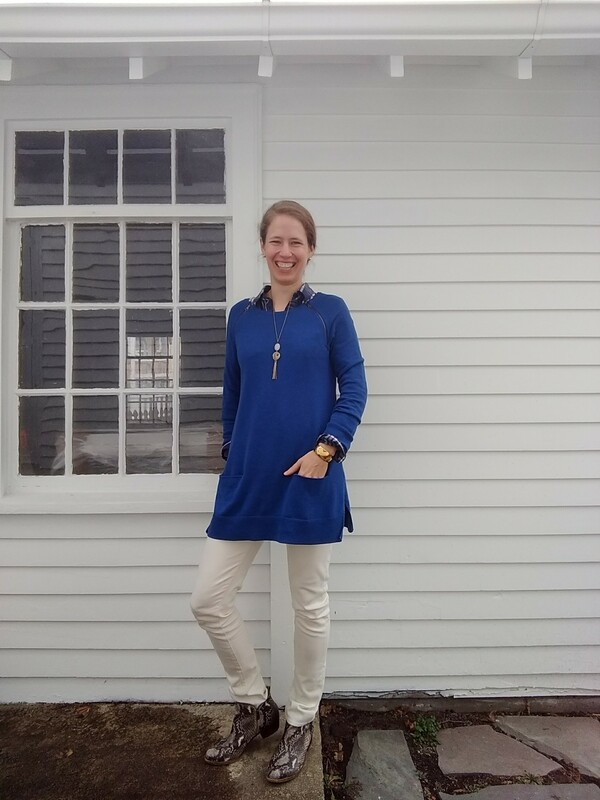 *Wait – there was that one time I went to Old Navy to see in person if a new color of their Pixie Pant was in my color palette – so I could try to find it secondhand online, of course. Remember how I swore online thrifting was not for me, but in the same post admitted I had just ordered a pair of pants off of Poshmark? Well, they arrived, along with two other online finds – and unlike the first two times I tried online thrifting (here and here), these fit perfectly and I’m happy with my purchases. I got smarter. Here are my three finds along with some tips for acing online thrifting. 1. Real life references. You’re much closer to guaranteed success if you’re looking for a version of something you’ve already tried on, whether it’s something you spotted at the thrift store or something in your own closet that you’re looking to replace or get in another color. 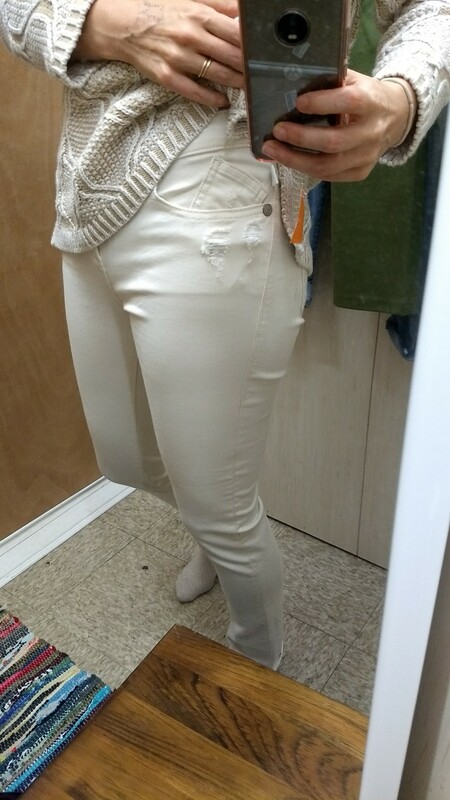 Last time I went to Sister Thrift, I happened to try on a pair of cream-colored Rock and Republic jeans and fell in love. They were soft like butter on my skin, just the right off-white color for fall and winter, and had enough heft to keep my legs warm in the cold, cold weather. And they were a great skinny fit that would offer another option to my roomier cream corduroys. One thing I like about Poshmark is the option to make an offer. If something has been up for more than a few days, chances are the seller will be open to negotiating on price a bit. In response to your offer, they can either counteroffer or ignore it; if ignored, the offer expires in 24 hours so you’re not on the hook 6 weeks later for something you no longer want. Thanks to my painfully polite Midwestern upbringing, I’m not much of a bargainer, but the face-saving outs built into this system let you avoid all the awkwardness of telling somebody you’ll pay them less than they’re asking. And if they want to be firm on price, they just won’t offer the “make me an offer” option. Amateur tip: Make an offer that’s the asking price minus shipping. If the seller accepts, you essentially get free shipping while not gouging their profit too much. After all, this person is making available to you something you either haven’t been able to find in your local thrift store or don’t want to take the time to look for. Throw them a bone. 2. Only buy what you know you’ll wear, both in terms of fit and style. This means I stay away from certain categories of clothing unless I’ve tried on the exact same item IRL but need a different color or better condition. 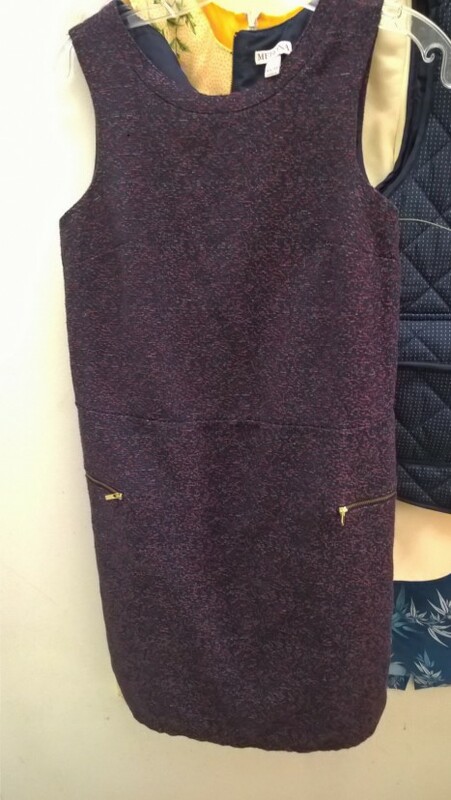 (Blazers, I’m looking at you – I’ve almost pulled the trigger on a couple of beauties but it’s just too hard to know how a new-to-me blazer will fit in the chest, shoulders, etc.) I’d also skip pants unless (like above) it’s a brand and fit I know works for me. Just too much room for error in waist size and rise. Something more forgiving, though, like an open cardigan, is a far less risky proposition. I learned a season or two ago that I am not a cardigan lightweight; no matter how fetching the pattern, I can’t stand layers getting scrunched up under thin, tight-sleeved cardis, plus I can never find a way to button them (or not?) that doesn’t look twee. So I opted for a giant abominable snowman of an oversized cardigan – the kind that fits well in the shoulders but goes down to the hips and is substantial enough to really keep you toasty – and have never looked back. Happily, their roominess also means you can fudge a little when guesstimating re: the fit of an online find. …but went looking for a second, both for variety and for wash days. Because sometimes it’s so dang cold that you are wearing a ginormous cardigan even while you sleep (hello New Hampshire nights). 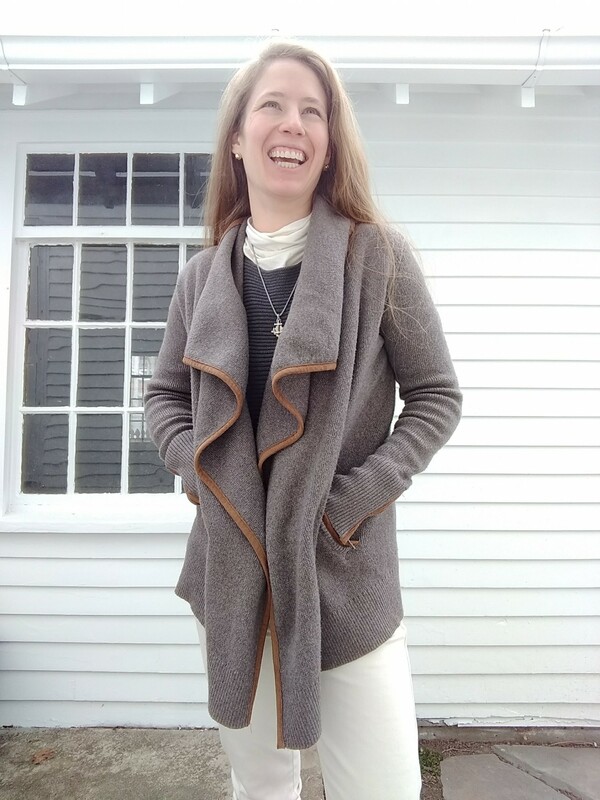 The colors are similar to the ones in my other cardigan, which meant it would go with everything that played well with my existing cardigan; and the waterfall instead of shawl collar plus the solid-color-with-trim instead of a knit pattern would keep it from looking too samey. Who knew you could be so chic, so subtle, so high quality, A&F? You appear to no longer be the debaucherous, obnoxiously overbranded retailer of the malls of my youth. 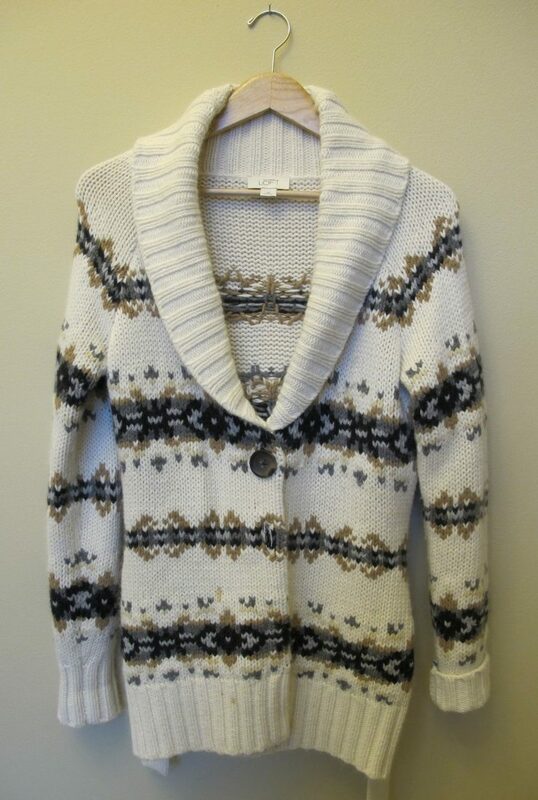 This cardigan was available in multiple sizes from different sellers, so I got on A&F’s website to check their sizing. I also read every description sellers had posted, and several remarked on how thick and luxurious the knit felt. That’s what I wanted – not some flimsy coverup, but a workhorse that would keep me WARM. My research made me pretty sure I’d love it, and I do. Amateur tip: for the love of all that is holy, use filters. You get much better results if you use a site’s filters instead of just searching for key words. Not to mention – you know how eBay, ThredUp, and for Pete’s sake even Google’s shopping search results eventually come to an end? Without enough filters, Poshmark’s algorithms will just keep. bringing. you. listings until your eyeballs are ready to pop out of your head. It’s a nefarious plot to fry your brain into spending inordinate amounts of time (and money) on their site, and the only way around it is to tick every box you can find in an attempt to narrow down your search. Sometimes this means doing a search multiple times using different variables, but trust me, your brain will thank you. The story of one such wardrobe hole: on the first chilly weekend of fall, I saw a family of three at our holiday fair all sporting plaid flannel shirts. 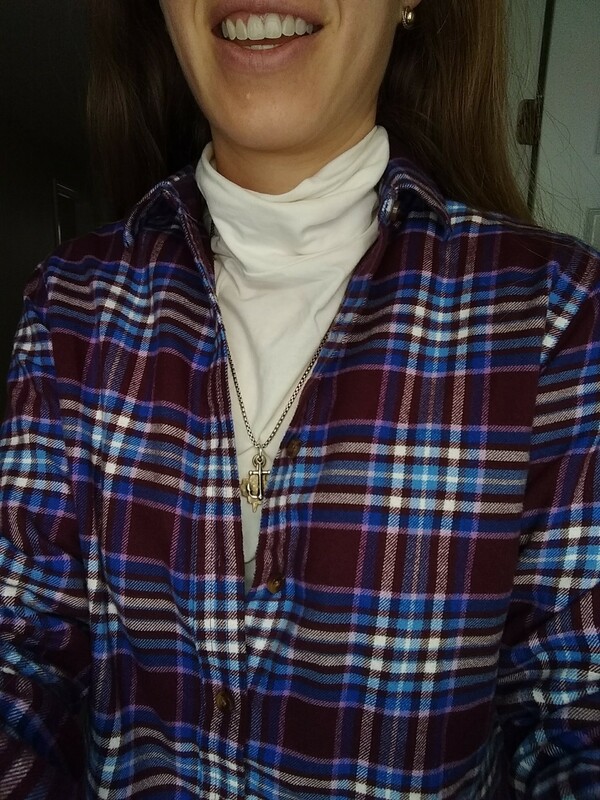 “It’s the uniform here,” they enthused – “a necessity!” I knew plaid flannel would be right at home in my casual work setting and that I would get a lot of use out of a heavier button down, both over and under other layers. 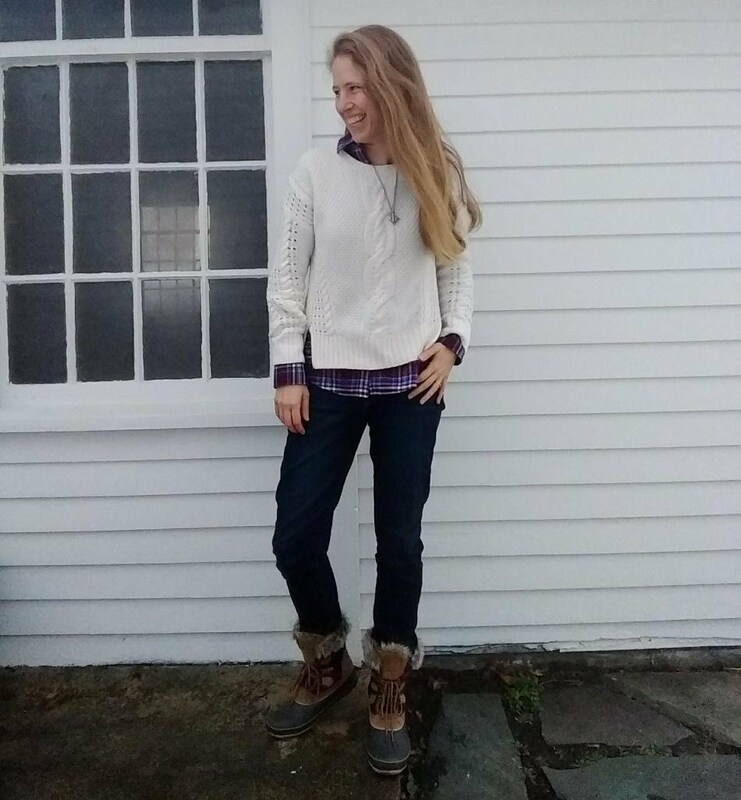 Duck boots + cable knit sweater + plaid flannel; the New Englander transformation is complete. 4. Learn to sit with your finds before you buy. It’s easy to feel anxious based on how many people have “liked” or are “watching” a particular posting and then get a bad case of trigger finger. But that’s how you end up with pieces you regret. When you find something you’re tempted to buy right away, use the “like” feature or simply bookmark the page and come back to it after a few days. If it’s still there and you’re still excited about it, you’ll know it’s not just FOMO clouding your judgment. If it’s not there, fear not; most things you’ll find on these sites are mainstream enough that they’ll resurface at some point, maybe even in a better size or a color you like more. What tips and lessons learned do you have to share about online thrifting? What items would you never buy without first trying on? I’m not usually one for online secondhand shopping since you can’t try things on and secondhand sites either don’t do returns (eBay) or else make you pay return shipping (ThredUp). But I’ve found online shopping to have one really good use: when you find something in a thrift store that you absolutely LOVE that’s not your size but you’re reasonably confident another size will fit you, get on the internets and search for it. Granted, this works best for mass market brands and even better for big box brands like those found at Target – you have a much better chance of finding the piece in question for resale online and you are more likely to know your size in that brand. 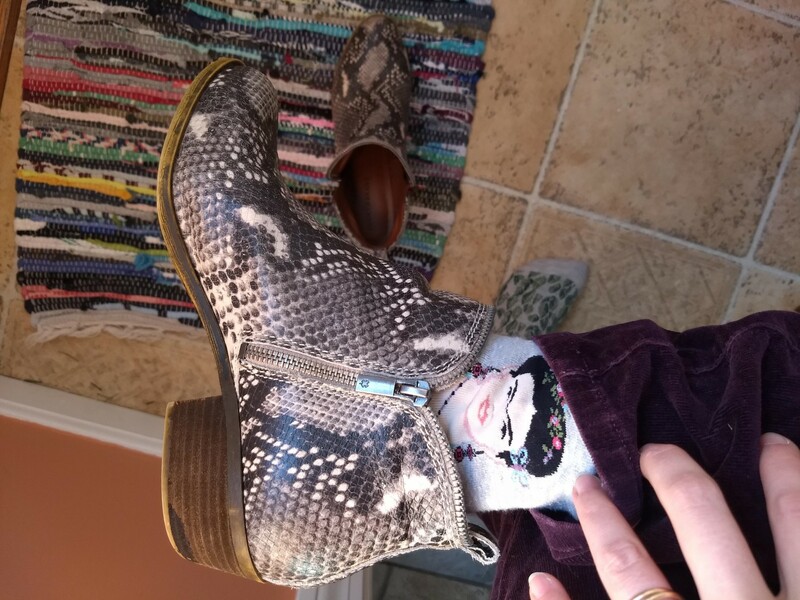 After some interesting detours, I found it in two sizes that might work for me on Poshmark. I had thought that (in line with their name) they only sold higher end and designer items, but either they’ve lowered their standards or they’ve always had a wide array of price points. I figured I should ask the sellers of the two different sizes available what their thoughts were on fit. To do this I needed to sign up (of course), but I was pleasantly surprised at how quick and easy it was using my Google account – literally one of the quickest “get back to what you were actually trying to do” experiences I’ve had. Once I’d typed my queries, folks responded within the hour and were friendly and helpful in their replies, which is in line with Poshmark’s self-described social, active community. A quick aside on Poshmark, for those unfamiliar with it (as I was). In the world of online secondhand shopping, it’s sort of a hybrid – individual sellers post their wares like on eBay, but Poshmark provides shipping labels like ThredUp. They will also, like eBay, provide a refund/free return shipping if the item is not as advertised; but unlike ThredUp, where you are welcome to return the item if you don’t like it (albeit after having paid return shipping), purchases are final. Another eBay-like feature on Poshmark is the option to “make an offer.” Offers are binding but expire in 24 hours; in other words, if the seller accepts your price, you automatically buy it. If they don’t, nothing happens and you are free to purchase at their asking price. Back to the dress. 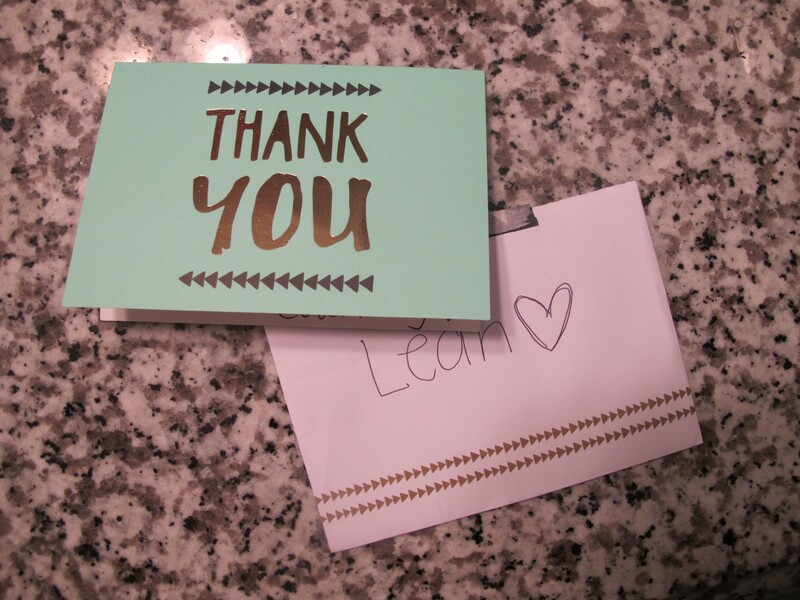 The first seller apparently hadn’t worn it as she simply relayed fitting information from Target’s website, but she was very prompt with her reply. (I wear different sizes in different Target brands, so that wasn’t super helpful.) Since the listing had only been up for 12 hours, I figured I should buy it right away if I didn’t want it to get snapped up. So I asked myself if I was willing to spend $15 + $1 shipping on a dress that might not fit. 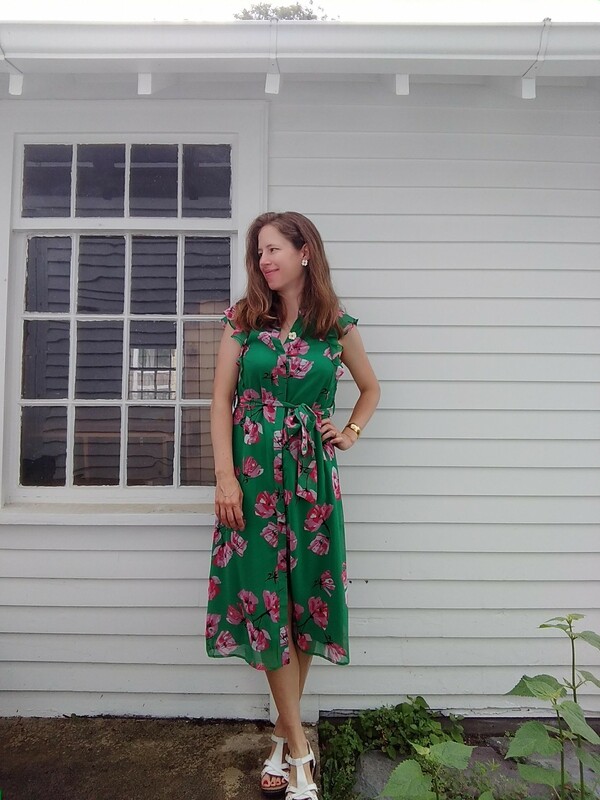 $15 is double what I normally pay for a thrifted dress, but when it checks all the boxes and makes your heart sing, it’s pretty darn reasonable. Not the seller’s fault, of course, but more of a cautionary tale re: buying clothes on the internet. I could have spent another $20 or so to get the “right” size, but at that point I’d already sunk enough money into the dress and I wasn’t sure the “right” size would fit well even if it didn’t swamp me. I know some of you all have had better luck with online thrifting. Do you have any tips for this jaded internet shopper? Do any of you join me in swearing off online clothes shopping?